Do you want to learn everything about there is to know about Google AdSense? This is your Google AdSense A-Z guide. Before getting into the world of Professional Blogging, I started looking for recurring income opportunities from blogging. Out of all the ad networks I read about and used, Google AdSense worked out to be the best monetization technique (after affiliate marketing). I started using Google AdSense in Feb 2009 and since then, I have earned about $50,581 (INR 35 Lakhs). This page is your one-stop destination for learning everything there is to know about AdSense. You will learn the basics like how to create an AdSense account & you will learn advanced tips on how to earn more from AdSense. But, first, let’s start with the basics so that you have a complete picture. What are the benefits of using AdSense? Why use Google AdSense over other ad networks? 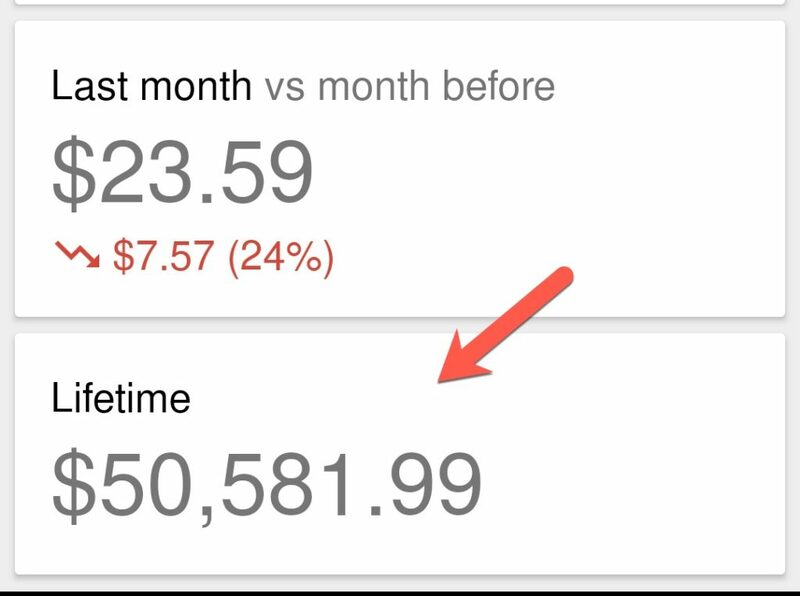 When it comes to making money from blogging, Google AdSense gives you the peace of mind with the recurring earnings. There are many ad networks available for bloggers such as Media.net, PropellerAds and a few more but nothing is same as Google AdSense, because of the trust factor that is added with the “Google” brand name. After all, it adds the comfort that we will get paid in time. Google AdSense is an ad product from Google for publishers and bloggers to make money from blogging. The beauty of AdSense is the quality of ads it serves. It shows ads based on the context of the article a reader is reading (Contextual ads) or based on their own interest. What AdSense offer is the easiest way for a blogger or a publisher to get started with online monetization. Once you have an approved account from Google AdSense, all you need to do is, add a few lines of codes (use AdSense WordPress plugins) or by manually inserting, and Google AdSense will start showing ads based on different criteria. After this, as a blogger, all you need to focus is on driving more traffic to your blog and you will start earning more. When a visitor visiting your website will click on ads shown by AdSense, you will start making money. In some scenario, Google pays you when visitors even see the ads. Overall, it makes your life easier as now your focus is only on writing quality content and driving targeted traffic. AdSense is a contextual ad network, which means that ads will be displayed according to your content. Another way AdSense shows ads is by using the cookie method. Based on user search history, they display targeted ads which convert better. In short, AdSense makes sure that readers will see targeted ads, and thus you will get more clicks and higher payouts than you will with any other ad network. Once you have an approved AdSense account, all you need to do is add a code to your theme file, and advertisements will start running on your blog. Here is a complete guide on how to create and set up an AdSense account. AdSense is one of the most highly rated and recognized advertisement programs available. However, AdSense does not approve all types of blogs, and if you are one of the lucky once to have an AdSense account, that means you are doing something right. With most ad networks, you need to add all of your sites manually, and upon approval of each individual site, you can place ads on that site. With AdSense, however, once you have an approved AdSense account, you can put ads on any website which complies with the AdSense terms of service. There is no need to set up different accounts for different blogs. This is very helpful for a blogger or a media agency which is growing and add online property. The major problem you will face with small advertising companies is the issue of payment. Despite meeting the minimum payout limit, you may have difficulty getting your payment. AdSense, on the other hand, is very transparent in terms of payment, and you are unlikely to face any issues obtaining your payment from AdSense. No doubt Google AdSense is one of the best programs for making money online with a blog. AdSense helps you to earn recurring income which is idle for anyone who is leaving their online job to make a career online. Also, the quality of ads are par excellence, it would not diminish the quality of your blog even if you are showing more than one ads. In the upcoming section of this AdSense guide, You will learn everything about Google AdSense. I have tried to add as much information & various AdSense tips and tricks as possible which users can implement to significantly increase their revenue. 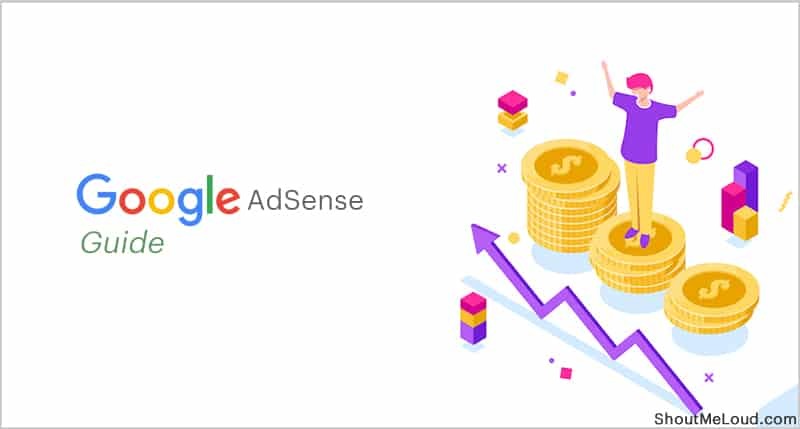 Google AdSense is very strict about their policies, so make sure you read the official AdSense guide to learn about the best practices for monetizing with AdSense. How Does Google AdSense Pay in India? AdSense or Affiliate: Which one to use? How Much Money Can One Earn From AdSense? I will keep updating this Google AdSense guide with various tips and useful posts as they come in. If you’re in need of any particular tutorial on Google AdSense, do let me know.